We are aware that there are some inevitable impacts that our work will have on the environment such as our necessary travelling and our premises electricity consumption. However, as we outline further on this page, we seek to do all we can to minimise such impacts. This policy outlines how we are reducing our environmental impact, as well as preventing pollution and complying with legislation. These contribute to our management plans and improve employee retention, client satisfaction and financial stability. Audit our performance and set targets for continuous improvement. We have “greening the office” representation in our office - our energy comes from 100% renewable energy tariff, our supplier is www.goodenergy.co.uk. We turn off non-essential office electrical equipment when not in use and overnight - We ensure that monitors and computer peripherals are included. We invited an energy saving lighting specialists to review are lighting last year– changes have been made and light bulbs are gradually been changed to LED with the aim of saving money and reducing our C02 emissions. We recycle all our office paper - We conduct a periodic audit of our paper use to ensure we are achieving our targets. Last year we recycled 90% office paper used. This year we aim to recycle 95%. We recycle printer cartridges - For the financial benefit of our charity this year the RSPB. We implement paper and ink saving initiatives – By reducing font and margin sizes and printing double sided we have more than halved our paper usage. We programme printers on draft printing for any internal documents which have to be printed, although we aim to be a minimal paper office. When we are travelling we aim to use our “mugs for life” rather than “one time use” drink containers. We recycle plastic and glass bottles, drink cans, tins and cardboard. We do not accept plastic bags – when purchasing suppliers we use our “bag for life”. We recycle batteries and technical consumables. We recycle office electrical equipment - We ensure minimising any environmental impact during disassembly, component recovery or disposal. 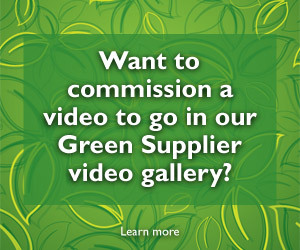 We deliver our video assets digitally – To save packaging and transportation costs, we encourage online viewing of videos for approval and final delivery via FTP. We carefully select goods, ideally those with no packaging and bought from local suppliers, alternatively goods with minimal and recyclable packaging materials. We collect and recycle compostable waste. We run a number of community fundraising initiatives which divert landfill waste resources into a special recycling scheme and in turn raise money for five charities and not for profit organisations. We have six public recycling points where the general public can drop off their waste resources, more information can be found here. We do not use water within our production processes. We ensure taps are turned off fully and promptly after use. We have fitted our toilet with a cistern volume adjuster. We carry out quarterly out of hours checks for leaks. We use teleconferencing when appropriate. Whenever possible we travel by the train to client shoots/meetings. If travelling by car we use the minimum number of vehicles. Our car is a Toyota Prius which achieves 72.4 mpg and 89g/km CO2. When workloads are suitable key personnel are able to work from their home offices. We only purchase recycled paper - We buy paper with a high post-consumer waste content. We select suppliers against environmental criteria – New suppliers are asked to complete a questionnaire to obtain their environmental credentials. We aim to use local suppliers whenever possible. We encourage electronic communications – With client and supplier for tenders/quotes and invoicing. We only use natural or organic cleaning products, avoiding those containing CFCs. Our sustainability performance objectives are reviewed annually by Carrie Cort. 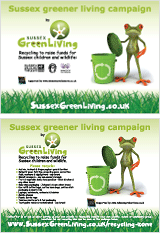 For more information email Carrie on cort@sussexgreenliving.co.uk or call 07768 212833.